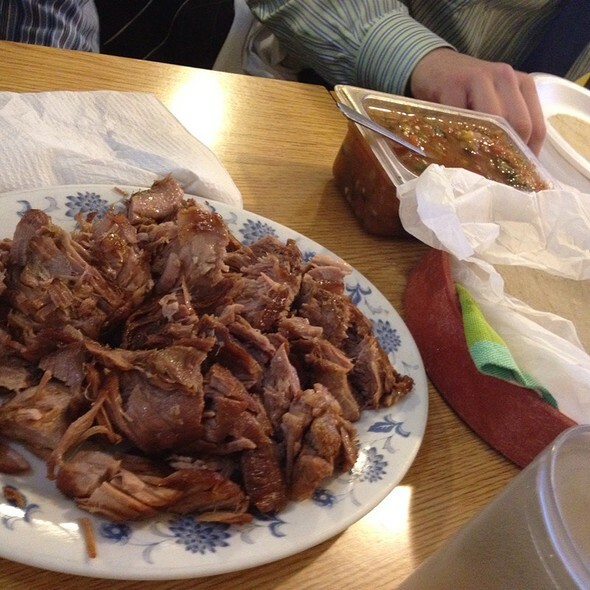 Without question, the best and most authentic carnitas in Chicago! How can you beat a place that showcases the pig in their window and offers a small sampling right when you walk in. With all that said, I do wish the menu was more extensive... but I guess being the BEST at one item is better than being good at a few. So carnitas mixtas is my favorite of the two options. They both come with plenty of the well seasoned pork shoulder. 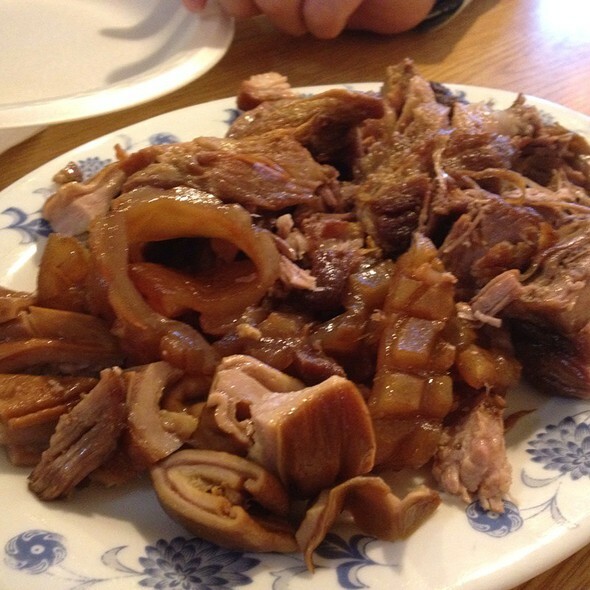 But the mixtas plate includes a few pieces of pork cheek, pork ear, and pork stomach. Each of them have different textures, from gelatinous to chewy, that I think gives each of my made tacos a little more character. Also, the give a more natural, deep flavor that you miss out on when you order just the regular plate. They give you fresh corn tortillas (around a dozen) and then a couple salsas (seen in next picture) and also pickled jalapeños and carrots. Make a little taco and add the different salsas and a jalapeño and you are in heaven! This is the regular carnitas... without the extras. So its just a plate of wonderful pork shoulder that is well seasoned. As mentioned in previous description, just make a taco and ENJOY! - So when you get to this place, you order by the pound. 1 lb. feeds two people (5-6 small tacos per person since they give i believe a dozen corn tortillas). I would start with 1 lb. and if you are still hungry then order more... the pork isn't going to run away so no worries. - Do buy some of their fresh chicharones... if you are lucky they might give you a small sample! - If you want a drink... just go to the fridge and grab it yourself and the bottle opener is attached to the table near the fridge... don't expect 5 star service here! - Don't ask for a menu or what else they have. Honestly you need to order one dish, and that is the carnitas. Decided whether you want mixtas or not and how many pounds and you are good to go. The price ranges a little but I find everyone can eat for around $8 a person.